Discussion in 'Femmes' started by lanvinray, Dec 27, 2009. 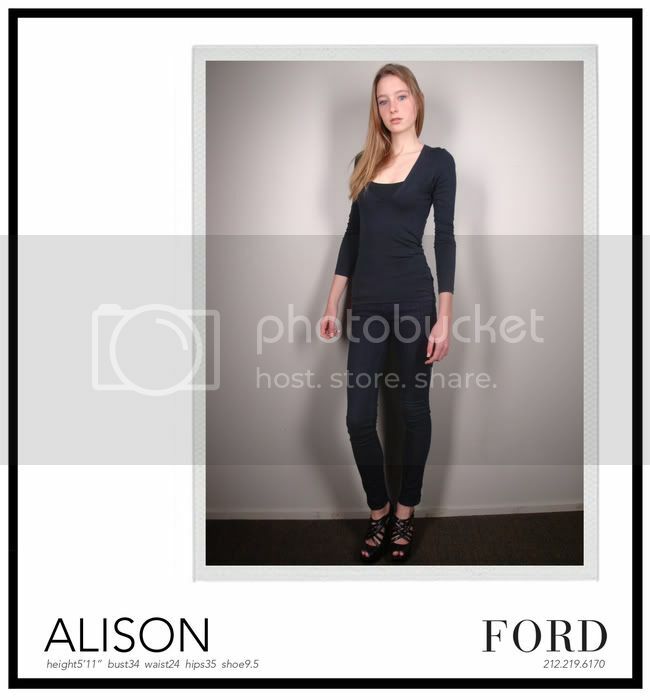 I believe Ford discovered Alison during the LA Leg of Ford Supermodel of the World US. She will now represent France at the finals! Goodluck! It’s opening day in São Paulo, Brazil for Supermodel of the World. The girls arrived and were greeted poolside with Havianas sandals — when in Brasil… . Here are some snapshots from around the hotel. This place is buzzing! The sun finally came out in São Paulo for this second day of Supermodel of the World. It was an early start to a long day in which the finalists were measured, “Polaroided,” and finally test photographed. There’s a video crew on hand interviewing the girls for a making of Supermodel of the World video. Needless to say the second day of Supermodel of the World has been eventful.